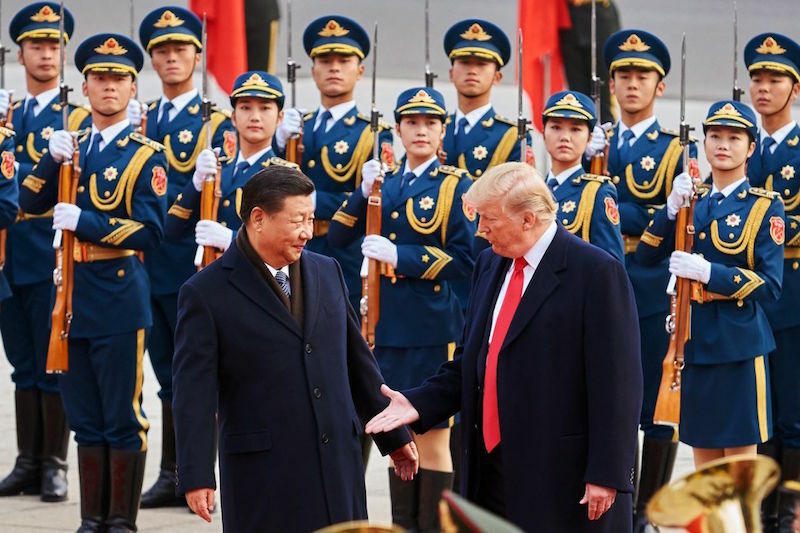 After much speculation, China and the U.S. are discussing the potential for Presidents Trump and Xi to meet at the upcoming G20 leaders' summit in Argentina toward the end of November. As the nations prepare for possible talks, instability in world financial markets as well as concerns over currency provide key points of potential negotiation. Earlier in the week, U.S. stocks suffered their largest plunge in months, with the Dow Jones Industrial Average falling 831 points. Technology companies were particularly affected, with American innovation giants Apple and Amazon both experiencing their worst day in over two years. By Friday, U.S. and world stocks alike recovered some of their losses; the Dow Jones jumped 305 points, Hong Kong's Hang Seng gained 2.1 percent and the Shanghai composite saw an increase of just under 1 percent. In addition to stock market fluctuations, U.S. officials have noted that the value of the Chinese yuan remains a topic of contention between the two countries. Speaking to CNBC ahead of the IMF and World Bank meetings in Bali, U.S. Secretary of the Treasury Steven Mnuchin said, "We are going to make sure that currency is definitely part of these discussions. We are going to make sure that whatever we make up on trade we don't lose on currencies." Speaking on Friday, Chinese Foreign Ministry spokesman Lu Kang did not confirm the meeting, but noted, "China and the U.S. maintain communication on dialogues and exchanges at all levels." Outside analysts have speculated about the respective negotiating teams, estimating that Liu He, President Xi's economy envoy, will be active in the preparations. On the U.S. side, the Wall Street Journal highlighted the involvement of relatively unknown business consultant Christopher Nixon Cox, the grandson of President Richard Nixon, who is expected to take a leading role. With many details pending, any financial calm stemming from the meeting's announcement illustrates the far-reaching implications of such a dialogue. As China-US Focus contributors Sun Chenghao and Wang Xiaonan explained today, the U.S. and China are in a new period marked by significant change. However, it is possible for both countries to realize that "a ruling power and a rising power are not destined for war." On Wednesday, the Trump administration announced that it is making moves to increase scrutiny of foreign investment in the United States. 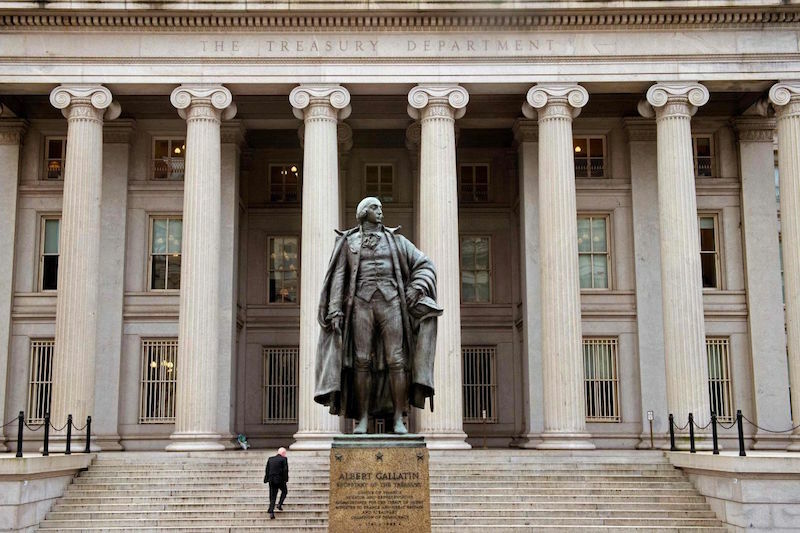 The new rules for the Foreign Investment Risk Review Modernization Act give more power to the Committee on Foreign Investment in the U.S, which can now bar acquisitions and review deals. Restrictions on minority stakes and joint ventures in 27 industries, including technology, telecommunications and semiconductors, will allow the U.S. to block foreign transactions that could pose a threat to national security. The pilot program is scheduled to begin on November 10. Foreign investors will be required to submit declarations of intent when conducting bids, and failure to do so could result in a fine of up to the value of the desired transaction. "These temporary regulations address specific risks to U.S. critical technology while informing the development of final regulations," said Treasury Secretary Steven Mnuchin in a statement. In his speech last week, Vice President Mike Pence accused China of obtaining trade secrets by investing in U.S. companies. Just this week, a Chinese intelligence official was arrested in Belgium and delivered to the U.S. where he will face espionage charges for an alleged attempt to steal trade secrets from GE Aviation. This toughened stance on foreign investment threatens to increase tensions between two of the world's largest economic powers; however, several mainland Chinese media outlets are continuing to play down tensions. "We need to refrain from escalating friction with the U.S. and exaggerating the atmosphere of strategic confrontation," an editorial in the state-run Global Times read on Monday. This week, the International Monetary Fund (IMF) downgraded its outlook for the world economy just ahead of its meeting with the World Bank in Bali, Indonesia. The IMF announced on Monday that the global economy would grow only 3.7 percent this year – the same as in 2017 and down 0.2 percent from original forecasts. The IMF cited rising interest rates and tensions over trade as the cause for this adjustment. The IMF also "slashed its outlook" for all 19 countries that use the Euro, as well as Central and Eastern Europe, Latin America, the Middle East and Sub-Saharan Africa. The IMF predicts that both the U.S. and Chinese economies will grow this year: the U.S. at its fastest pace since 2005 (2.9 percent) and the Chinese at an expansion of 6.6 percent. However, it expects both U.S. and Chinese growth to slow next year, as the effects of the trade war set in. 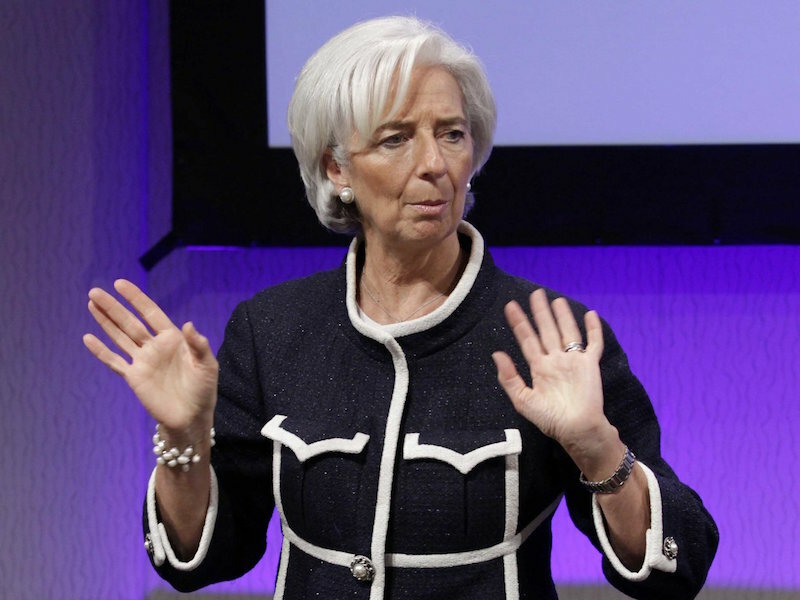 In the most recent episode of the 'At Large' Podcast by China-US Focus, host James Chau highlights an interview with Christine Lagarde, Chairwoman of the IMF, who hopes that "reason will prevail and that all players will come to the table and will agree to improve the rules by which trade happens." In other IMF news, Pakistan's finance minister announced that the government will be seeking a substantial loan from the IMF. Pakistan's prime minister, Imran Khan, had previously hoped that other "friendly countries," including Saudi Arabia, would provide assistance to Pakistan. However, China-US Focus contributor, Zainab Zaheer, argues that because Pakistan is already deeply indebted to China, concerns from Washington "may cause the fund to impose tough conditions." China's well-documented air quality problems and its status as the world leader in greenhouse gas emissions have given the country a reputation for focusing on industry first, environment second. Nonetheless, China is now the world's leading producer of renewable energy and has gained global attention for its efforts to address its energy dependence problems. 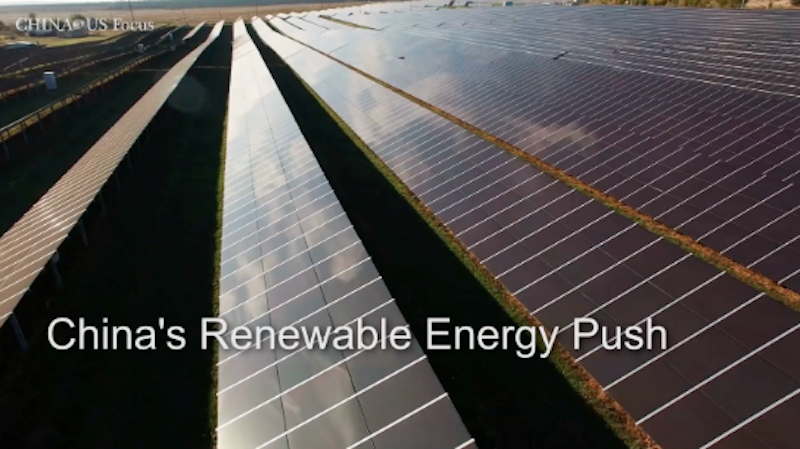 In a new explainer video, China-US Focus explores the country's efforts to build a more sustainable economy, including the nationwide roll out of a national "cap and trade" system to cut emissions. Click through to the China-US Focus website to watch.